On Nov. 20, ballet lovers around the world celebrate the anniversary of the birth of Maya Plisetskaya, the great ballerina who transcended the boundaries of dance, leaving her mark in literature, fashion, cinema, music, and beyond. Even during the era of the Cold War and the Iron Curtain, it seemed impossible that the mercurial talent of the great Russian ballerina Maya Plisetskaya could be contained by any walls. Now, long after the end of the Soviet Union, her life and work continues to unite and inspire admirers of high art in countries and continents around the world. An example to emulate for dancers starring in Swan Lake or Don Quixote, she is recognized by the whole world as the paragon of Russian ballet. It was thanks to her that the likes of Maurice Béjart and Roland Petit were able to bring their ballets to Russia. But even if she was half a century ahead of her time in ballet, Plisetskaya was not simply a ballerina – she was a woman of oustanding personality, a star that drew the most remarkable people of her time into her orbit. The stage – even one as great and grand as the Bolshoi – was simply not enough for her. Plisetskaya's artistic skill manifested itself very early in her life. As she herself recalled, back when she was too young to even go to school, she was once drawn away from her home by the sounds of a waltz from Léo Delibes' ballet Coppélia, playing from a PA loudspeaker. The music enchanted her so much she began twirling in the middle of the street, oblivious to everything around her. But the most fascinating thing about this story is that her mother (who was a silent film star and a member of one of Moscow's most prominent stage actor families) found her surrounded by a crowd of fascinated onlookers who were enjoying little Maya's impromptu dance number. The girl's aunt, the Bolshoi star Sulamith Messerer, gave young Maya her first ballet lessons and choreographed her first production of The Dying Swan when she was seven – and even at that time, Messerer praised the girl's incredibly flexible arms and her huge, dazzling dark eyes. Italian actor Marcello Mastroianni once broke in backstage after a performance of Swan Lake, just to declare tearfully: "Actors are so poor: All we have is our facial expressions and gestures, but you, Maya, you use your whole body to act." Unsurprisingly, Plisetskaya captivated the minds of numerous film directors. Her Betsy Tverskaya, as performed in the classic Soviet film Anna Karenina by Aleksandr Zarkhi, was a masterpiece of acting, rivaling her ballet roles in emotional expressiveness. And it was not her only film appearance: She also played the role of real-life Belgian singer Désirée Artôt in Tchaikovsky (1969) and the muse of Lithuanian painter Mikalojus Čiurlionis in Zodiac by Jonas Vaitkus. Later, she also gave the great Russian stage director Anatoly Efros the idea to adapt Ivan Turgenev's Torrents of Spring as a play filmed for TV. "It was her idea, to perform a stage role and a ballet dance in the same play... As was usual for me, I decided to say yes so as not to offend her, and cop out later on some excuse," the director himself recalled. "I always comply only to disappear later, but I never manage to pull it off, and it was definitely out of the question then, since it was impossible to get rid of Plisetskaya. You still think you can back out of it, but somehow you're already on your way to the ballet school where she's rehearsing – and how she rehearses!" Sadly, Plisetskaya had never performed "pure" stage roles. However, she did play a white-socks-and-wooden-sandals-clad celestial fairy in Nagoromo, a Japanese Noh play. If one were to count the number of portraits of Maya Plisetskaya in the fine arts, it would probably turn that no other performing artist has been so frequently painted and sculpted. Her expressiveness, the soft curve of her gorgeous neck, and her long, evocative arms are as easy to detect in masterpieces crafted by geniuses as they are in children's drawings. The ballerina once modeled for Mark Chagall, spinning in front of him barefooted to Mendelsohn's music. Later, she recognized herself on one of the murals Chagall created for the Metropolitan Opera House in New York. "This was most certainly me – hip curved, body tilted, all tight as a string..." she wrote. The Dying Swan as performed by Plisetskaya became symbolic in and of itself: The portrayal was immortalized in figurines by Soviet sculptor Elena Yanson-Manizer, who drew inspiration from the dancer's performances for many years, as well as mosaics by Nadia Léger, and even graffiti by Italian artist Eduardo Kobra – one of his works even adorns a house not far from the Bolshoi Theater, in a small park recently renamed after Maya Plisetskaya. Unlike most ballet dancers, Plisetskaya always had a good standing with poets, writers, artists, and musicians, even when she was quite young. "Today I was at Lilya Brik's. They invited Gérard Philipe with his wife and Georges Sadoul over. Everyone was very nice and friendly. The couple regretted they had not had an opportunity to see me perform, but I 'comforted' them by giving them my photos with some inscriptions (the photos were quite bad since I didn't have any good ones). There were no other guests (just Shchedrin, the composer)," the ballerina wrote in 1955, describing an evening at Brik's that Rodion Shchedrin, her future husband, spent playing his music on a Bechstein piano. The composer himself wrote: "I heard a recording of Plisetskaya singing the music from Prokofiev's ballet Cinderella, and I was fascinated, primarily because she was a ballerina who had a perfect ear – she reproduced all the melodies and even the supporting harmonies perfectly in the original key, and for the record, Prokofiev's music could be quite difficult to follow at the time." After this aural acquaintance, and later their first meeting, it took them three years to fall in love with each other. 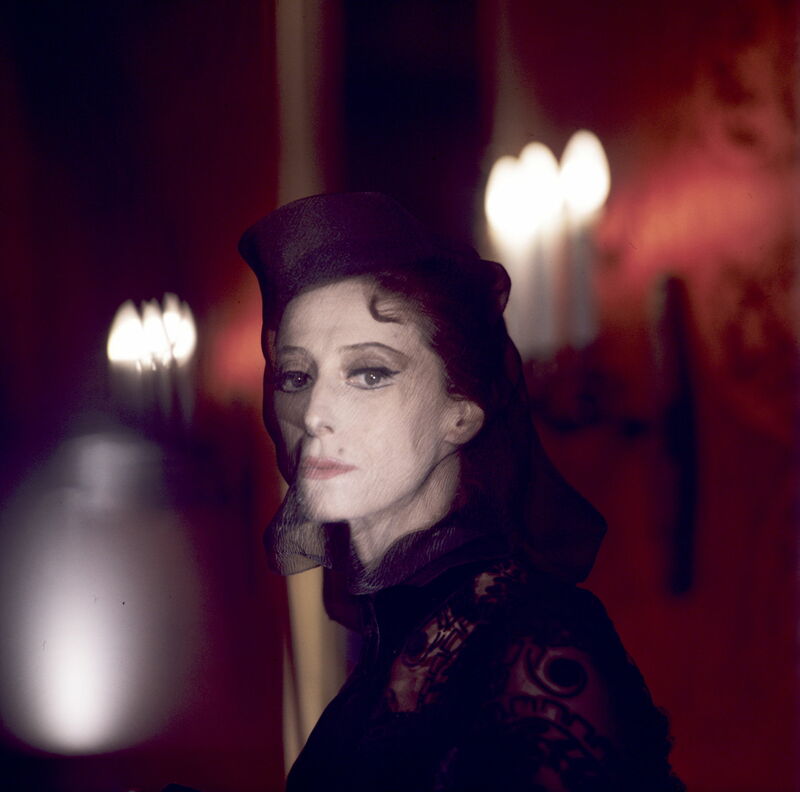 Shchedrin's ballets written for her – like Anna Karenina, The Seagull, and The Lady with the Lapdog, all of which were not just about their respective characters but about Maya Plisetskaya as well – became an integral part of her repertoire. The Swan – just like Carmen later - became one of Maya Plisetskaya's trademarks. The iconic character of a strong and fearless bird – proud, lonely and resilient – inspired not only artists, but also poets, with endless lines, extraordinary and amateur alike, dedicated to it. Incidentally, the ballerina's own literary talent was considerable – in fact, she could well give a professional writer a run for his money. 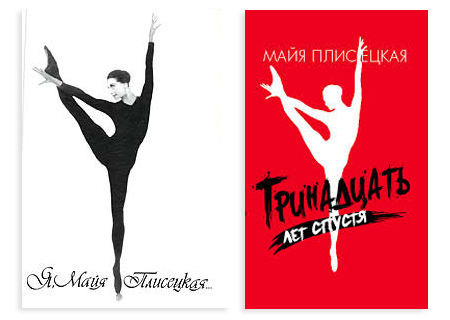 She wrote two books, I Am Maya Plisetskaya and Thirteen Years Later. Both of them became bestsellers – and not just because of her fame, but also thanks to her impeccable style. "What would you like to know about me, my dear reader? "Is it the fact that I am left-handed and do everything with my left hand? That I only use my right hand to write, and can only write with my left hand in the opposite direction, in an inverted manner? "Or maybe that I combined the opposites, that I could be both wasteful and greedy, both brave and cowardly, both a queen and a shy little girl? "Or that I had a collection of funny surnames, gathering clippings with those from all the print media I could find? That I was as stupidly gullible as I was stupidly impatient – I have never been capable of waiting... I was blunt and impulsive... So, is this just nonsense, trifles? Or do these trifles complement my persona?" In an era when each and every Soviet woman was supposed to sport a jolly calico dress, Plisetskaya managed to be stunningly flamboyant. She was the first Soviet ballerina to come back from an international tour with elastic leotards for ballet classes and bags full of luxury fabrics for tutus. During her stay in Paris, she was acquainted with the latest fashion trends by writer Elsa Triolet, the wife of Louis Aragon and Lilya Brik's sister. Coco Chanel once invited her to her fashion house and offered her any outfit from her latest collection. Yves Saint Laurent and Jean Paul Gaultier created clothes for her. In the 1960s, she donned furs and jewels to model for famous fashion photographers like Richard Avedon and Sir Cecil Beaton. 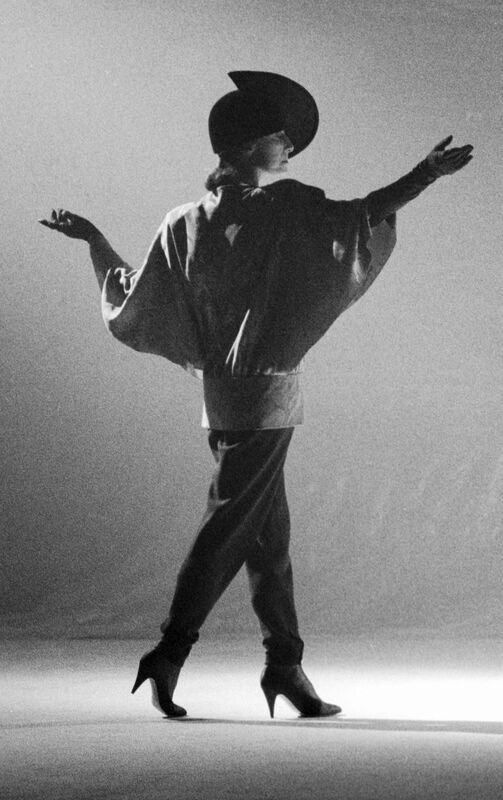 At the 1971 Avignon Festival, Nadia Léger introduced Plisetskaya to Pierre Cardin. "I saw her in Carmen, and I fell in love with her," the fashion designer later said. The ballerina became Cardin's muse for years to come. He created over 30 dresses for her specifically, asking nothing in return but some friendly disposition. And she stayed loyal to him, impressing the public with his incredible dresses with trains. "It's not like I am too faithful, it's just that he is a genius. Cardin was the one to create my outfits for stage and film – and these were truly gifts fit for a queen!" she used to say. These fabulous outfits are now kept in Moscow's Bakhrushin Museum. In 1998, Plisetskaya and Cardin presented a joint show dubbed "Fashion and Dance" in the Kremlin. 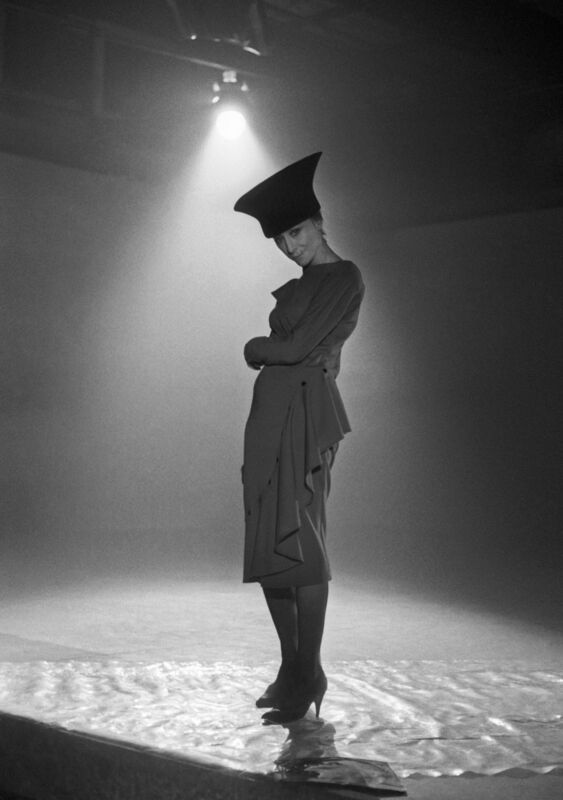 As for Soviet designers, Plisetskaya collaborated with Vyacheslav Zaitsev – she selected him to create outfits for her ballet Anna Karenina. "Over 20 sketches were made in total," recalled the designer. "Maya liked many of them, but Shchedrin had doubts about them. The argument eventually reached the Minister of Culture, Yekaterina Furtseva, and she demanded that I agree to a compromise. I didn't. Pierre Cardin was hired to work on the ballet." People who wanted to come across Plisetskya in Munich, where she and her husband made their home several decades ago, stood a better chance of catching her at the local stadium, rather than an opera. Whenever they were in the city, the couple did not miss a single soccer match. And this was probably the only place in the world the great dancer could remain incognito. "Football fans do not know me," she said. "I love football, but this love is one-sided." The ballerina had always been a fan of sports. "All this is delightful. It is the civilization of the human body," she explained. "And the football players are modern gladiators: They are so fantastic, so powerful, and what technique they possess!" In Soviet times, she was an avid fan of the CSKA Moscow soccer club. In an album dedicated to the ballerina by Pierre Cardin, there is a photo of her with legendary French attacking midfielder Michel Platini. She passionately argued that the impact of sports could be felt even in ballet. And, remembering Pelé's words about how footballers had not had modern techniques back in his time, Plisetskaya said ballet had advanced along the same path and modern styles had not been seen in her time either. Photo credits: Mikhail Pochuev, Nikolay Kuleshov, Vladimir Kiselev/TASS; Alexander Makarov, V.Malyshev, Dmitry Donskoy, A. Knyayev, Vladimir Rodionov, Igor Mikhalev, Sergey Pyatakov/RIA Novosti; Corbis/East News; Getty Images.